Swirl veneer is the veneer that is taken from the wood part around the crotch or knot. It is special veneer. Swirl veneer has nice and special pattern of grain looked. Its grain pattern and character is very similar to crotch veneer but with less “flame effect”. Swirl veneer is most used together in mixed with crotch veneer to make special looked at the wood product. Sometime the swirl veneer is used to replace the crotch veneer. It has similar pattern with the crotch veneer but less expensive and relatively more stable. The crotch veneer is premium veneer, it has very strong patterns and with very bright base color and strong "flame effect", but he is very brittle, fragile and expensive. People who use the crotch often has to face the problem with the crack and rupture veneer. 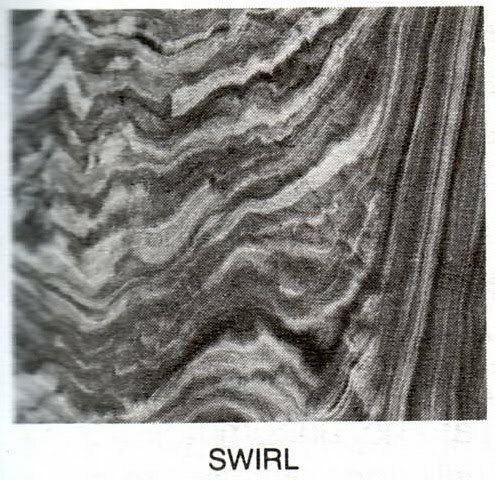 Meanwhile the swirl has a very similar grain pattern to the crotch, but he is relatively more stable and flexible. Many woodworker prefer to use the swirl to make the "crotch appearance" but with less problem and price. How to manage the swirl veneer. Although the swirl veneer is relatively more stable than the crotch but it is not really safe, the veneer is still at risk for rupture or crack. The proper handling and process is needed to avoid the risk of rupture and wrinkling problem. Here some tip to handle and manage the swirl veneer. For safe we better use the veneer with thickness 0.4 mm or more. The veneer is need good sanding, which is quite difficult to be done with to thin veneer. . Veneers are thin have a higher risk for getting into trouble. The veneer conditioner is the solution that work for soften the veneer. It will help to lay down the veneer at the core and make the better lamination. To view more about the sizing process you can go to our previous post: veneer conditioner. The swirl veneer still has high risk for the cracking and rupturing problems. To minimize the crack problem, we still need the sizing process. To find more about the sizing process you can go to our previous post : glue sizing in the wood finishing. To enhance his special beauty, the veneer needs the proper finishing. The transparent color finish is the proper choice for this veneer. 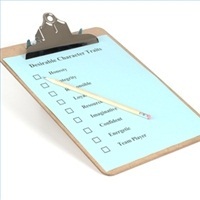 Avoid too thick stain application since it may block and reduce the beauty and character of the grain. The antique finishing or clean looked finishing can be generated but the thin or light stain is recommended. We can do highlight at the stain and glaze step to enhance its grain pattern. The strong hand pad is also can be applied to make more life appearance to the finish.